Passed in 2016, the General Data Protection Regulation (GDPR) is the most significant legislative change in European data protection laws since the EU Data Protection Directive (Directive 95/46/EC), introduced in 1995. The GDPR, which came into force 25 May 2018, seeks to strengthen the security and protection of personal data in the EU and serve as a single piece of legislation for all of the EU. It will replace the EU Data Protection Directive and all local laws relating to it. We support the GDPR and will ensure all Treezy services comply with its provisions. Not only is the GDPR an important step in protecting the fundamental right of privacy for European citizens, it also raises the bar for data protection, security and compliance in the industry. Treezy.co.uk is owned and operated by Brighter Starts Learning Tree Ltd (BSLT). BSLT respects your privacy. 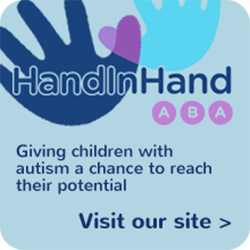 We offer toys and aids for families and teachers working with children and adults on the autism spectrum. Cookies are small text files that can be used by websites to make a user’s experience more efficient. The law states that we can store cookies on your device if they are strictly necessary for the operation of this site. For all other types of cookies we need your permission. This site uses different types of cookies: necessary, preferences, and statistics. We share information with third parties who help us provide our services to you. Third parties include payment processors, newsletter services and email services. You can remove consent to be included in our newsletter at anytime by clicking the ‘Unsubscribe’ link at the bottom of newsletter emails or by submitting a removal request to info@treezy.co.uk. We use Gmail as part of Google Cloud for our email client. You can read about Google Cloud and GDPR compliance here. Moreover, in order to send messages from our contact form, our site uses the Mailgun Plugin for WordPress. Mailgun receives SMTP requests from our site and processes / sends the message to our email address. Mailgun collects your name, email, subject line and message body. Mailgun is fully GPDR compliant; all our site’s Mailgun data is stored in the EU. Visitor comments and reviews may be checked through an automated spam detection service. Finally, we use Facebook Pixel. You can control your privacy settings here. If you leave a comment or submit a support request, the comment or support request and its metadata are retained indefinitely. This is so we can recognise and approve any follow-up comments / support requests automatically instead of holding them in a moderation queue. For users that register on our website, we also store the personal information you provide in your user profile. You can see, edit, or delete your personal information at any time (except you cannot change your username). To do so, login and visit the My Account page. Alternatively, contact info@treezy.co.uk, as website administrators can also see and edit that information. If you have an account on this site, or have left comments or reviews, you can request to receive an exported file of the personal data we hold about you, including any data you have provided to us. You can also request that we erase any personal data we hold about you. This does not include any data we are obliged to keep for administrative, legal, or security purposes. Please send Right of Access or Right of Erasure Requests to info@treezy.co.uk. If data breaches are detected, we contact anyone affected via email as soon as the breach is discovered.